Her Journey campaign, a TIFF initiative to raise awareness about gender equality in film. Additionally, she attended the 2018 Sundance Film Festival as an Ignite fellow to establish and develop connections in the film industry. The common thread among the Toronto-born filmmaker’s notable works, like How Do You Pronounce Pho? (2014), This Home is Not Empty (2015), and recently, Every Grain of Rice (2017), is her use of distinct aesthetic forms and voiceover presences. Born from personal struggles and understandings, the films don’t adhere to traditional documentary mediums, varying in their use of live action, animation, archives and miniatures. Nguyen’s work plays with the way we perceive reality and embraces creative techniques that are truthful to the filmmaker’s stories. She is a committed filmmaker and returns to consistent themes throughout her body of work. Nguyen’s film, Every Grain of Rice (2017), explores the relationship between food and cultural assimilation. In this work, Nguyen shows her interest in the topic of hybrid culture. Her narration describes her experience tasting “culturally unstable” Western concepts of ethnic cuisine versus authentic Vietnamese meals cooked by her mother. The film empowers the candid young voice while still considering it in the process of learning about cultural hybridity. How Do You Pronounce Pho? reflects on the process of learning not to limit ourselves to certain groups and languages. For Nguyen, it’s important to interact, collaborate and share ideas with others in a multicultural society. “Not to do so would mean missing enriching and impending stories and experiences,” she said. As beautiful as hybrid culture can be, it can also be frightening. Three years after making How Do You Pronounce Pho?, Nguyen explored her fears in Every Grain of Rice, a film that delves into the relationship between food and cultural assimilation. She addressed the cultural assimilation that follows each generation. While emotionally attached to some of her parents’ Vietnamese traditions, the young filmmaker doesn’t substantially continue them, but holds the last tie with Vietnamese culture in her family. This Home is Not Empty (2015) is centred around a miniature paper replica of Nguyen’s childhood home. What followed was This Home is Not Empty, in which Nguyen tried to portray her nostalgia for childhood. Using paper, she created a highly detailed miniature of her childhood home. The small-scale house is abandoned, sitting in a studio. Shots of the replica are contrasted with lively family photographs. The miniatures are constrained to dark grey tones on an insignificant scale. Objects are on the ground, her childhood fish tank is smashed and food is left out on the miniature table. With this film, Nguyen builds a paper collage of archives and reconstructions. She compares the photographs to the paper replica so the viewer can interpret their nostalgic relationship. The filmmaker confronts the audience with a unique approach to represent her thoughts. The film’s universe isn’t constrained to fictionalized memories. In a delicate way, the viewer is brought outside the paper house. Nguyen presents her work while embracing the process of making it. The filmmaker shows the hands that place the objects of the paper house, and the studio in which it is lit. The film presents her memories with honesty. Nguyen’s films depict her internal explorations, and their highly controlled aesthetic gives a sense of restrained emotions. 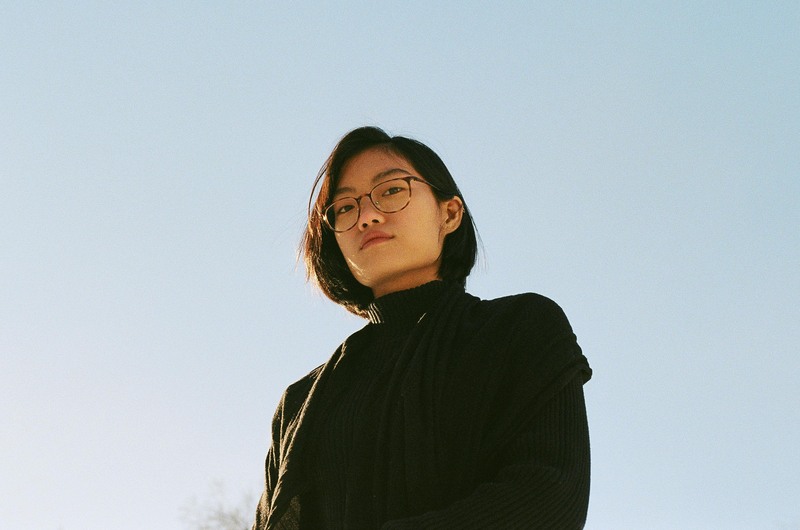 This February, Nguyen will direct her ninth film, the second to be produced within the Mel Hoppenheim film production program. You can see This Home is Not Empty and How Do You Pronounce Pho? on Nguyen’s Vimeo page. Feature photo by Charles Duquet.